Aviva Dautch is on the ten-person shortlist for Primers Volume III. 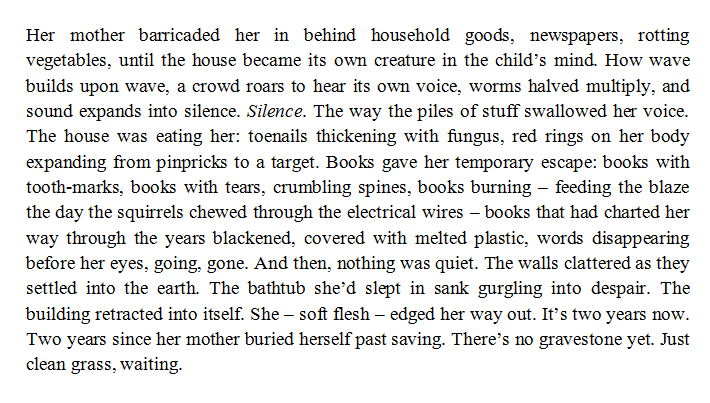 ‘The House’ is from her shortlisted manuscript When The World Was Rotting. We’ll be showcasing the work of all the shortlisted writers over the next two weeks, so check back to read more poems. Aviva Dautch teaches at the British Library and Bethlem Museum of the Mind (the original Bedlam). She has an MA in creative and life writing from Goldsmiths and a PhD in poetry from Royal Holloway. Her poems are published in magazines including Agenda, Modern Poetry in Translation, The North, The Rialto and The Poetry Review.